The “We Rock Workshop” is a residency program led by Liz Berlin of Pittsburgh-based band Rusted Root that teaches youth to open up creatively through music. In the workshop, youth participants explore the creation of music and look for meaningful ways to incorporate music into their lives. The 10-week program culminates with the recording of original songs created by the participants and a final showcase of their talents at the “We Rock Workshop” fundraiser concert. The youth who participated in the most recent “We Rock Workshop” have just completed eight weeks of recording workshops at the Mr. Smalls Recording Studio, during which they recorded eight songs. They have completed ten weeks of performance workshops to prepare for the upcoming concert. To purchase tickets, visit www.werockworkshop2014.eventsbot.com. The concert is free for foster youth, $5.00 for students, and $10.00 for general admission. VIP admission is $25.00 and includes a T-shirt designed by the youth and a CD of their recorded songs. 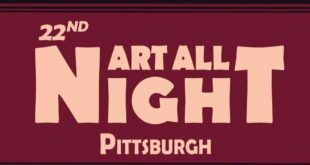 All proceeds of the concert will benefit the Allegheny County Music Festival Fund. This fund has provided children and youth receiving services through DHS and the Juvenile Section of the Family Division of the Court of Common Pleas with life-enriching items, services and opportunities otherwise unavailable through traditional government funding.